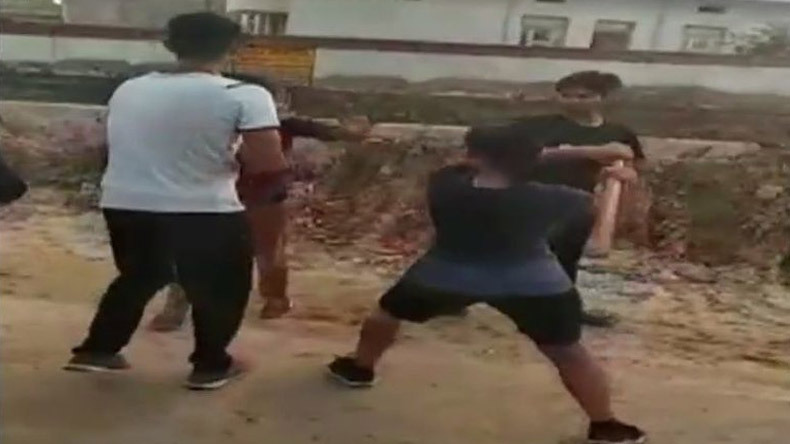 A girl from Rajasthan who is aspiring to an Indian Army officer thrashed a boy for stalking and spreading rumours about her whenever she used to go out for a run in the morning. In the video, the girl was seen shouting at the boy for spreading rumours about the girl and also telling his friends that she was his girlfriend. No girl is weak, well this is what we are told since the time we take birth. However, with a recent case being reported from Rajasthan, this statement was proved 100 per cent right. On Tuesday, a girl who is aspiring to an Indian Army officer thrashed a boy for stalking her during her morning run. The following incident took place in Bharatpur area of the state. The matter was highlighted after a man recorded the whole incident and later shared it on various social media platforms. As per the video, the girl was first seen shouting at the boy for spreading rumours about a girl being his girlfriend. The girl was later identified as 19-year-old Vani Sharma who reportedly runs 15 km daily as part of her army training. In the video, the girl was heard shouting at the stalker, Hitul Saini, who is a Class 12 student. Before turning the boy’s cheek red with slaps, the girl was heard scolding the boy for telling his school friends that she is his girlfriend and further added that she talks to him for hours. When the boy protested, the girl further slammed him and said that he is mistaken if he thinks he was born as ‘Donald Trump’s son’. Hitting the boy for his behaviour, the girl said that no girl is weak and if she raises her voice, his life will not be spared. Commenting on the incident, a police officer of the area said that the girl has not filed any police complaint in this regard. The following incident shows that no female is weak that they can be dominated by any man.